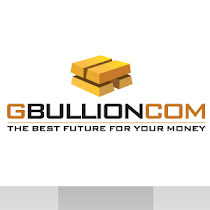 GBULLION DMCC is happy to inform you that the www.gbullion.com personal account interface has undergone some improvements. The new interface is now online and offers a more transparent, convenient and user-friendly experience. The current spot price is displayed and updated every minute and when an enquiry is initiated it simultaneously estimates the commission amount (1.2% of the spot price) as well as the amount of gold available for you. All important calculations are carried out automatically along with a gold price history chart. In other words, you are now fully equipped with all the necessary tools to make important decisions. In addition to this from now on you will receive pdf-contracts confirming your every operation. Should you have any questions, concerns or suggestions, please feel free to contact us.